Today, I thought I’d share with you some of my favorite skin care products, from cleansers to special treatments. These are the products that I’ve been using on a regular basis for the past 6 months or so. This product was first brought to my attention by Lisa Eldridge who spoke of it in one of her skin care videos. She described her skin, and it sounded similar to mine, so I thought I’d give it a try. I LOVE it. It is one of my favorite cleansers. It’s really effective, but at the same time very gentle. The lactic acid in it works wonders. I tend to use this no more than 2-3 days a week, as I don’t want my skin to get used to it. I highly recommend this cleanser. I often use this cleanser to remove the first layer of make up, or, if I haven’t been anywhere for the day and I want to just de-grease my face. 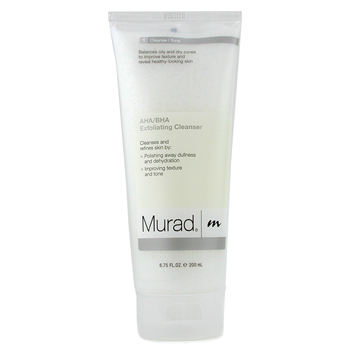 This cleanser is very mild and non-foaming. It was initially geared towards consumers who have just had laser peels. You don’t have to rinse this product off with water, just wipe with a damp cloth. It’s also great to take if you’re traveling. This is a great mask by Kate Somerville. I use this twice a week (NO MORE THAN). It’s really powerful. You rub in on damp skin in circular motions for about 30 seconds. If you don’t have really sensitive skin, you can leave it on longer. Your skin will be red after you wash it off, and this isn’t one of those masks where you see instant results (ie instantly smaller pores) however, when you wake up the next morning you will be amazed at the difference in your skin. Your skin will be smoother, firmer, and blemishes will be smaller. LOVE IT. This is my favorite cleanser of the moment. It works well to reduce my acne without over -drying my skin. I can use this everyday. La Roche-Posay Effaclar Mat Moisturizer. Yes, I know it says age reform. Age reform cleansers tend to have lactic acid in them which is way more gentle on the skin that your typical salicylic acid (although this product as both, I think they balance each other out). This cleanser is mild enough to use everyday, although I don’t. I like using this for a gentle exfoliation if I’m not doing a mask that night.